Newest Content- Hopeless to Amazed Keynote! Contact TheFatGuy to Speak at Your Event! TheFatGuy, Mike Campbell, also known as TheFitGuy, TheBeast is a journey coach, speaker, facilitator, blogger, writer, community volunteer and an extremely passionate advocate for all things healthy, particularly when it comes to the topic of weight management and obesity prevention. 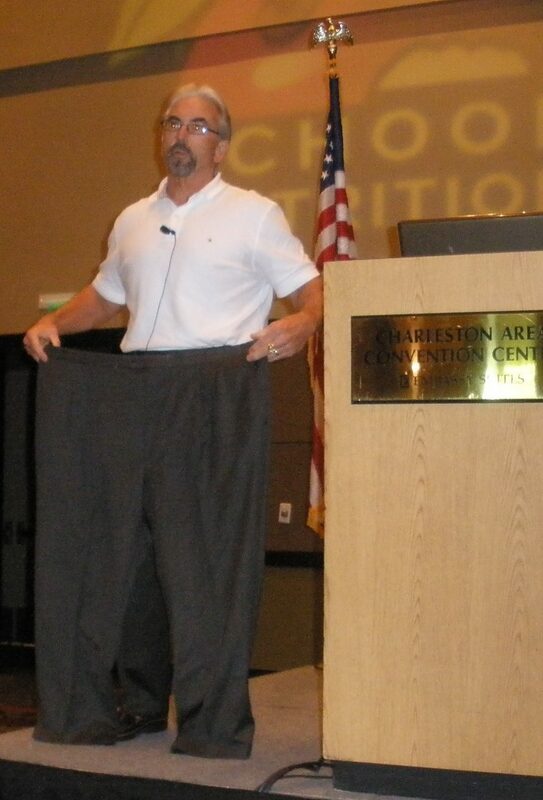 During a recent community event hosted by the Community Advisory Board (CAB) of the South Carolina Clinical & Translational Research Center for Community Health Partnerships (SCTR/CCHP), attendees got to hear Mike’s personal journey first-hand, a truly inspiring story of hope and motivation for everyone who’d like to be healthy, regardless of age, size or fitness level. As Mike would say small steps can make big change, and he’s living proof of it! Get inspired and motivated with Mike if you’d like to take action, for your own personal health or if you’d simply like to help others. Charleston County School District Community Forums in March 2015- Facilitating Community Meetings to find the best Bell Times for students, schools, parents, and ALL stakeholders. Cane Bay Elementary SUBWAY Fit for Life 15 Day Challenge! Johns Island Rotary – Facilitating Charleston County School District community, parent, student, and staff meetings to achieve 2016 goals! Regularly appearing on 96.9 The Wolf as part of Total Wellness Tuesday with Susan Johnson as Dr. J and TheFatGuy. Tip segments/commercials, also!